This past summer I took a trip to the Kingdom of Cambodia and the Socialist Republic of Vietnam. 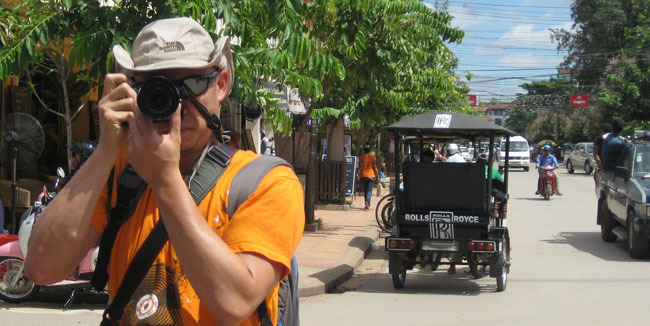 Trips that take in a different culture firsthand are a great way to broaden one’s perspective as a citizen of the world. Since a picture is worth a thousand words, I hope these photos give you a glimpse of what my trip was like. Our first stop was Siem Reap, Cambodia. We were there to see the temples built in the early 12th century. The temples were truly magnificent. 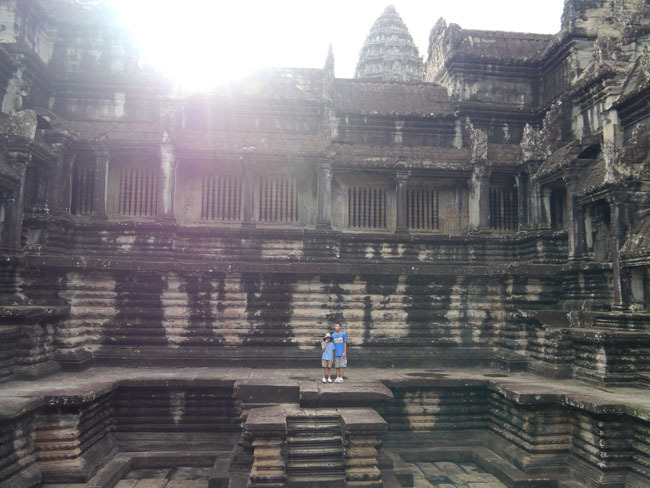 Years ago, I visited several great cathedrals in Europe, but the Cambodian temples were different. I know these were holy places, but their scope and size exuded a feeling of tranquility and reverence that I have rarely felt before. What was most shocking about Ho Chi Minh City (Saigon) was the traffic. 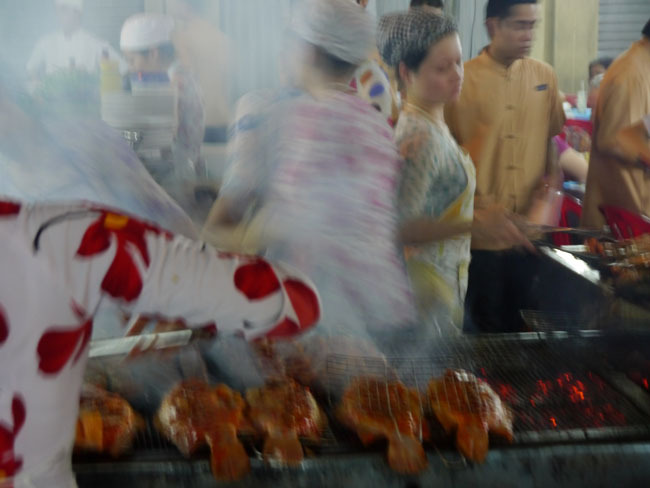 Being from New York, the hustle and bustle of city life is second nature, but Ho Chi Minh City blew me away. 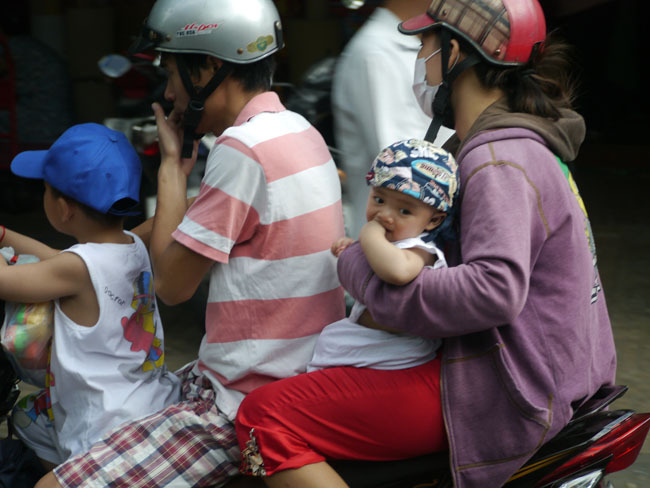 While the population of Ho Chi Minh City is nine million people, compared with the eight million who live in New York City, the traffic is much worse in Vietnam because of the lack of mass transit. Crossing the street was actually scary! If you ever go there and want to cross the street, remember to walk—not run—and the traffic magically flows around you. Coincidentally, The New York Times ran a piece on this very same topic in Hanoi, which I can confirm is just as crazy as Ho Chi Minh City. The Cu Chi tunnels consist of seventy-five miles of underground tunnels. The tunnels essentially allowed the Viet Cong to win the Vietnam War. The tunnels go deep into the ground and were very cramped and claustrophobic. When I took history in school, the Vietnam War was not explored in much detail. However, in Vietnam, the War is a topic of national pride. In all the places we visited, the people were open and friendly. Vietnam is the first Communist country I have visited. My preconceived notion of a Communist-ruled country was that its people would lack ambition and drive, but this proved false. From what I saw, the people were very hard working. Throughout the trip the food was wonderful. And cheap! 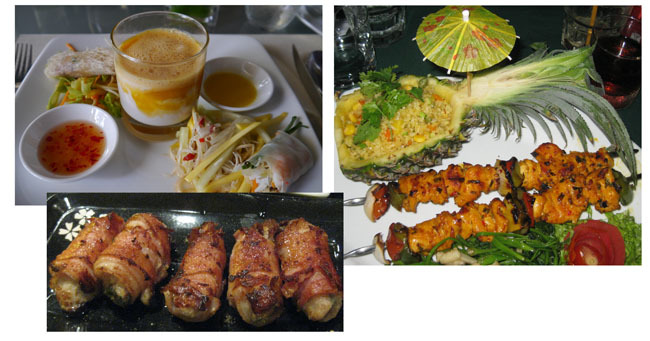 We had top-notch meals for a total of $10.00 to $12.00 per person, which included our bar tab. You can find a meal for $3.00 to $4.00 per person as well, but it won’t be any good. We chose to splurge! 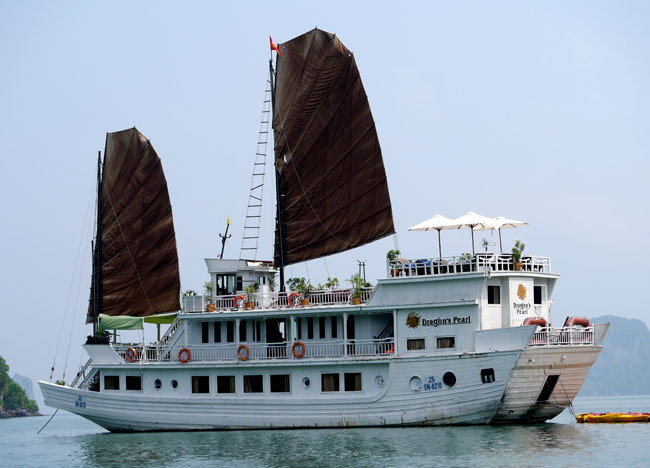 The finale of the trip was staying on a boat for two nights while sailing among the islands of Ha Long Bay in Northern Vietnam. 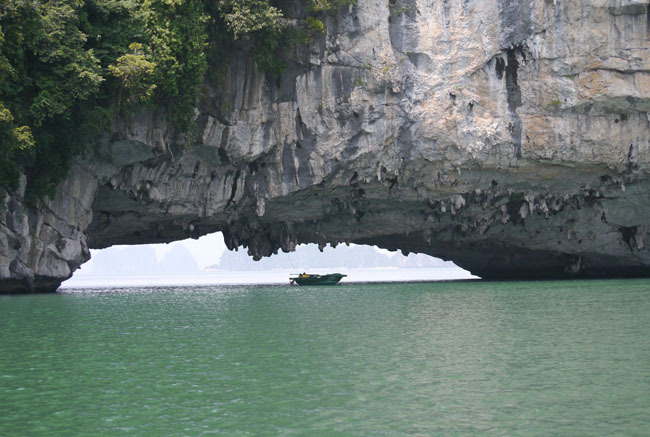 Ha Long Bay is one of the seven natural wonders of Asia. 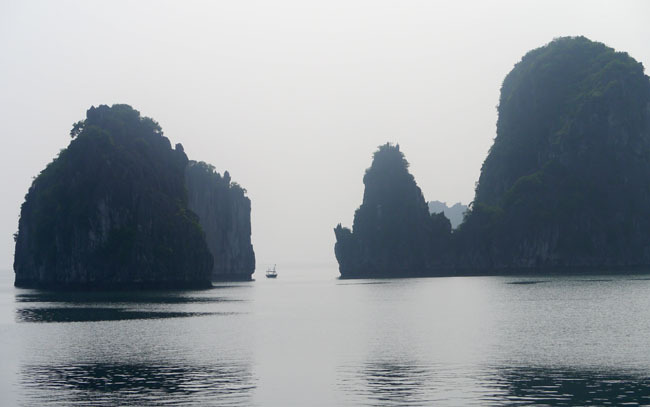 The 1,900 small, uninhabited, limestone islands in Ha Long Bay were one of the most beautiful sights I have seen in my life. I felt as if I were in Middle-earth or Pandora. I think these film directors may have borrowed their visions from either visiting or seeing pictures of Ha Long Bay. I am always moved by trips like this one, but it takes effort not to let the memories fade as one becomes re-immersed in the daily grind. Looking at my photos and thinking about the trip makes me want to explore other places in Southeast Asia and experience more. If anyone cares to reminisce about past trips I never get tired of hearing about people’s travels—they are my favorite stories to hear. Previous PostWhat is Close Reading?Next PostWhat does close reading look like in Kindergarten? I love hearing about other people’s travels, too! Thanks for sharing yours. The traffic in Hyderabad, India was the same as you described. The way it moves is almost organic- like a flock of birds or school of fish. I love the food pictures. Michelle, I read your post about being an exchange student in the Philippines. You sound like you had some eye-opening experiences there. What I found interesting about Vietnam was the history of the war and how it is regarded by the Vietnamese people. Being an American and growing up on a steady diet of war films told from the American point of view, I was moved by how the war is depicted in their museums and especially their paintings and sculpture. How the Vietnamese managed to win the war was nothing short of incredible considering the might of our military and I found myself wanting to read more about the war from both sides. I heard a similar comment from a friend who visited Vietnam a few years ago. I’d love to go there some time. The ways we view historical events and frame them in our collective cultural consciousness is an interesting topic to me. I remember not long after I got home from the Philippines a new Vietnam war film was in the theaters. As I sobbed through the entire thing, I knew I was seeing it differently than my boyfriend who’s father had served there during the war. For me, it hit too close to home. When I watched the credits I realized parts of it had been filmed in the Philippines. I would not have had the same response if I had not lived in SE Asia. Thanks for the emails. I was born and raised in the Philippines and migrate to US in 1986. If I will be given the chance to travel aroundthe world, I will choose Philippines first, because it’s more fun in the Philippines- this is our country’s slogan for tourism. I hope you can get there one day and see it for yourself. Alicia, Philippines is definitely on the list! Where in the Philippines would you recommend? I also like getting recommendations from locals/former locals. Aliia, where in the Philippines did yo live? I returned form the Philippines the same year you emigrated. During my year in the Philippines, I lived on the island of Mactan and in Cebu City (they’re connected by a bridge), which was fantastic. I was also lucky to do a fair amount of domestic travel.